If you have been following me on Twitter you know how I feel about the current bill proposals in the US Government these days to stop online piracy. These bills, although designed to stop illegal copyright infringement online, will do more harm than good though. In fact they will do little or nothing to stop piracy, but could harm many websites like Youtube and Facebook. If a 13 year old girl decided to put up a cover of a Katy Perry song on Youtube, the record companies could force Youtube to take down the video, or face having their site shutdown by the government. This is a clear violation of our first ammendment which gives us the freedom of speech at the request of special interests like the sleeze bags at the RIAA. The internet is up in arms over these bills called PIPA and SOPA which will give the US government the same authority to censor the internet like China and Iran, and frankly it is very scary. One of the most well known supporters of the bills was GoDaddy which lost over 40,000 domains last month as domain owners moved their domains to other registrars that don't support these bills in protest. I was included in that movement as I moved Bauer-Power.net, TechChop.com, and Ninjurl.us away from GoDaddy over to NameCheap. Well, there are rumors that another big protest is in the works. This time from some of the biggest names on the Internet. Apparently Google, Facebook, Amazon, eBay and others are coordinating a joint blackout. That means no internet searches, no farmville, no great deals, pretty much the sites you visit the most will be unavailable. Imagine how you will feel that day? I know in IT, I use Google constantly. 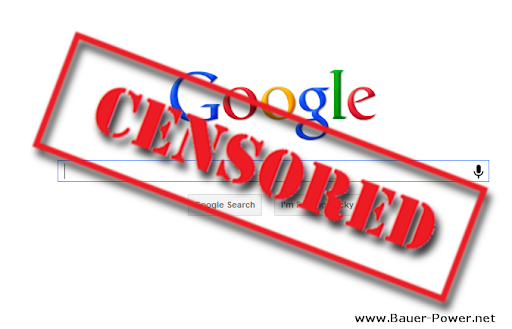 It will actually hurt me to not have that even for one day, but I'm all for it if it gets the message across to congress that censoring the internet is wrong for America. The action would be a dramatic response to the Stop Online Piracy Act (SOPA), a bill backed by the motion picture and recording industries that is intended to eliminate theft online once and for all. HR 3261 would require ISPs to block access to sites that infringe on copyrights -- but how exactly it does that has many up in arms. The creators of some of the web's biggest sites argue it could instead dramatically restrict law-abiding U.S. companies -- and reshape the web as we know it. The US Senate is set to debate these bills more on the 24th, which means if a blackout from these websites is going to happen, it will be in the upcoming few weeks. What do you think about this? Is it a good move on the part of these large websites? Let us know what you think about a coordinated blackout protest in the comments! Got a Nasty Virus? Sweep That Crap On Boot Up! Ubuntu Getting Rid of Menus for HUD? Screw That!